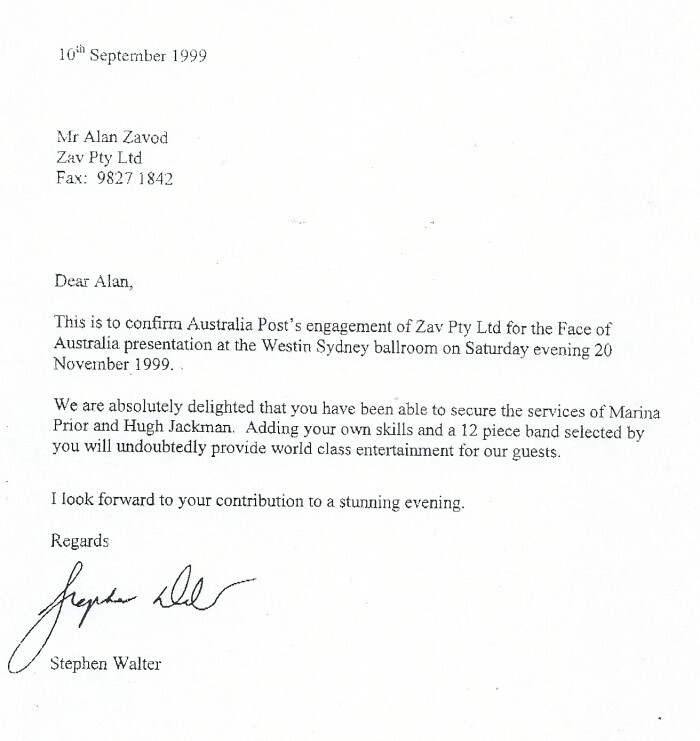 In 1999, Australia Post sent a letter to Allan Zavod to confirm his engagement for the 'Face of Australia' presentation at the Westin Sydney Ballroom. 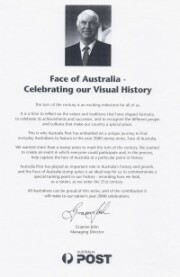 They were "absolutely delighted that you have been able to secure the services of Marina Prior and Hugh Jackman". 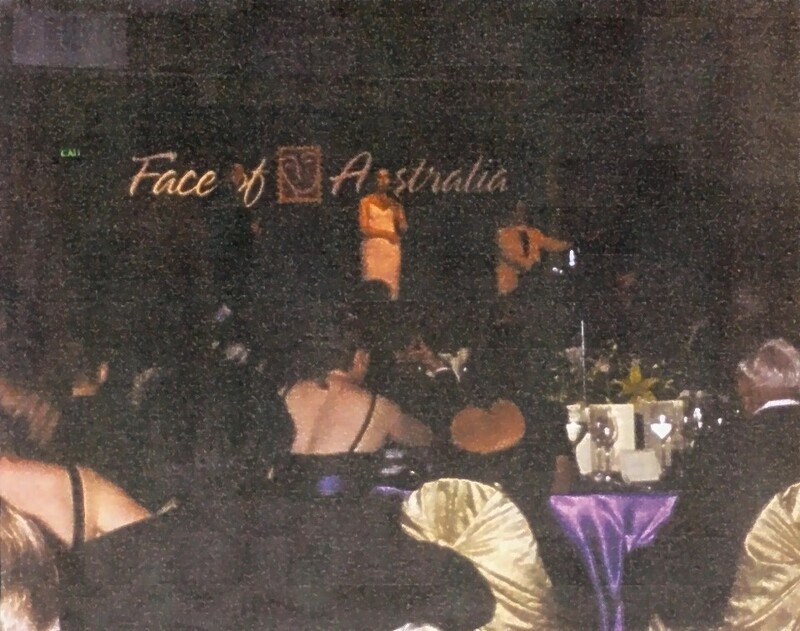 Allan performed with a 12 piece band for the entertainment. 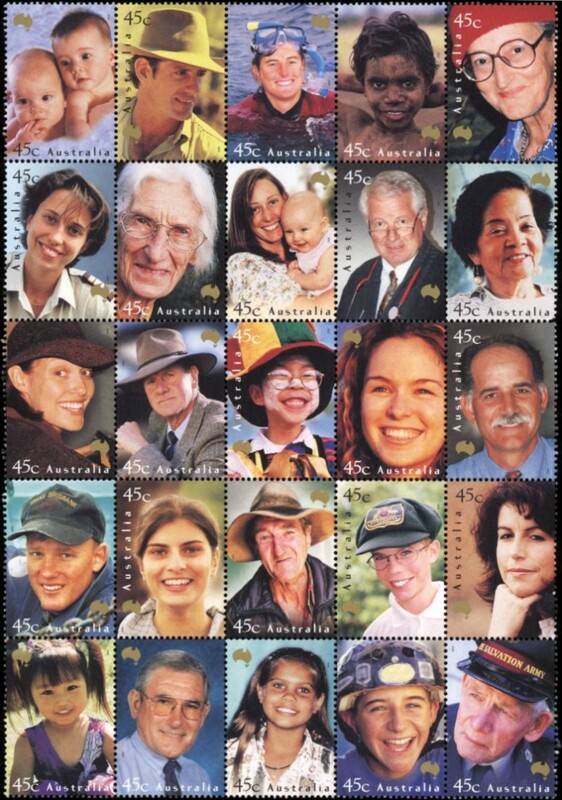 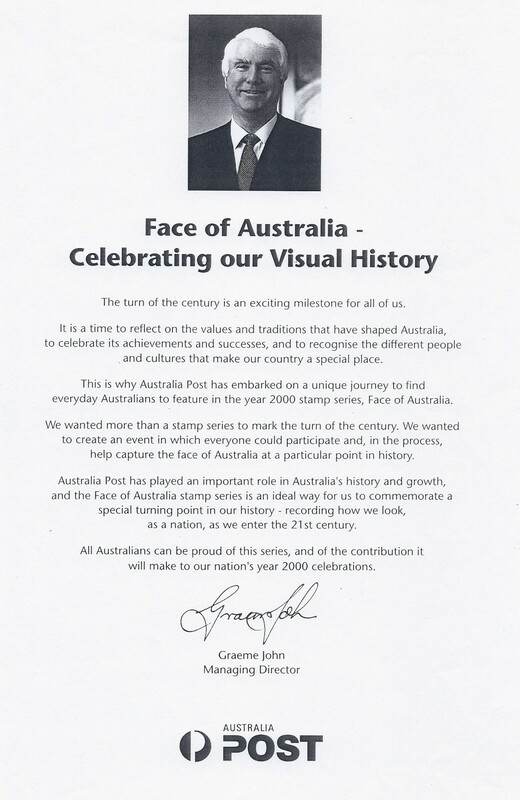 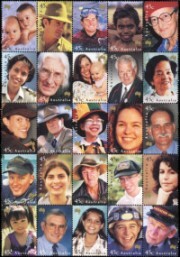 Australia Post said about the Celebration: "Australia Post has played an important role in Australia's history and growth, and the Face of Australia stamp series is an ideal way for us to commemorate a special turning point in our history - recording how we look as a nation, as we enter the 21st century."